Pallet Tracking - The full historical from pallet entry to exit can be tracked and reported upon. Full/Part Pallet Picking - Picking of both part pallets and full pallets are utilised. Location Management - The ability to perform stock enquiries by location and perform stock checks. Picking Rules - Including First In First Out (FIFO), Last In First Out (LIFO), Batch Coded picking, picking by location and picking by pallet quantity. Online Stock Reports - Allows for you and your customers access stock reports on the go. Warehouse Utilisation - Reports to detail warehouse utilisation, including: empty locations, usage by customer and total location utilisation. Advanced Costings - Automated weekly costings detailing total pallets in store, goods in and out and stock moves. 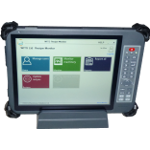 WI-Fi and Batch Terminals - Portable terminals ingrated into the WITS system allowing for live stock data and more accurate stock information. BenefitsWhat benefits does our WMS offer? Batch terminals can be synced into your solution, allowing warehouse operatives to perform their duties and resynchronizing the operations performed, updating the main WITS system. 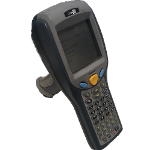 WI-FI Handheld terminals can be incorporated into you WMS system allowing for faster more efficient picking by your warehouse operatives by capturing and updating stock moves, picking and stock check data in realtime. 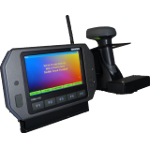 WI-FI enabled truck terminals with barcode scanners, can be installed to your fork-lift trucks, allows for drivers to pick items and perform stock moves. WITS-Software can also install bespoked software onto tablets enabling you to monitor your warehouse where you are away from your desk. Traffic Scheduler - A web based system allowing for the scheduling of vehicles arriving at your site. This can system can be integrated into the WITS system or installed as a standalone system. Pick Monitor - This module allows for the reporting of the picking of stock in your warehouse by your operatives, along with start of day/end of day and breaks monitoring. Automated secure off-site backup - Providing you the piece of mind that your warehouse data is recoverable in a worst case scenario. Top of Page BenefitsWhat benefits does our WMS offer?